A cowboy mystery! 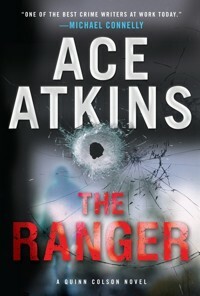 Or at least, that’s what I thought when I saw the nominee’s name (Ace Atkins) and the title of his book (The Ranger). After reading two previous nominees with a strong sense of place (1222‘s Norway and Suspect X‘s Tokyo), I anticipated a novel set in the past. In Wyoming. I guess I was confusing “ranger” with “range,” because what I got was something much different. For one thing, it’s set in present-day Mississippi. For another, it features Army Ranger Quinn Colson. And I guess Atkins can’t help being named Ace. 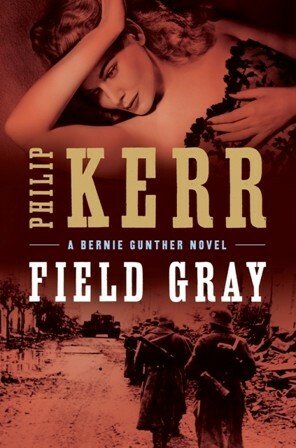 Quinn’s on leave due to a death in his family – his uncle, the county sheriff, has killed himself. Or did he? The criminal culture in rural Mississippi is long and runs deep, with payoffs, mob ties, meth labs, a religious cult, and one outsider – a pregnant teen come to town to find the low-life boyfriend who abandoned her. Add in a comely, feisty female deputy and you have a mystery that offers fascinating characters doing interesting things. The plot is twisty enough to satisfy those who want intellectual stimulation, and has enough fast-paced action for those who seek testosterone. I’m always looking for relationships and characterization, and The Ranger‘s good for that, too. I expect this is the start of a new series for Atkins, and it’s a measure of my enjoyment that I’ll not only be looking for more Quinn Colson books but exploring the Ace Atkins backlist. 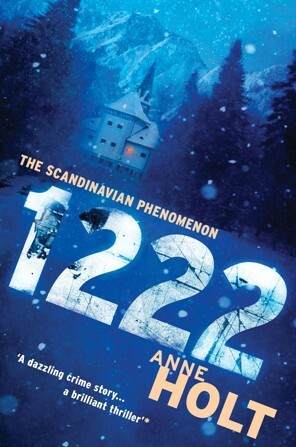 1222 is the eighth book in the Hanne Wilhelmsen series by Anne Holt, but the first translated into English. And it’s the first book in my read-it-and-rate-it marathon for the MWA Edgars, Best Novel nominees. As you can see, the novel opens with a train crash. Hanne Wilhelmsen, confined to a wheelchair thanks to a gunshot wound several years ago, is traveling by train for medical care which could potentially restore her ability to walk. It’s cold, very cold, and the train derails, sending its several hundred passengers to seek shelter at a nearby, mostly empty hotel. They’re sequestered by the weather; hence, when one of the group is murdered, the murderer must be among them. It’s like Gilligan’s Island on steroids, except somebody killed Mr. Howell, and there are more characters to keep track of. There are shifting relationships, many red herrings, several plot twists, and some nice characterization as solitary Hanne engages her intellect and, perhaps unwillingly, her empathy. She gains a confidant – a prickly teenager with a yen for a somewhat older woman – as she struggles to unravel the intricacies of the crime(s). The “wink is as good as a nod” expectation that the reader will figure out who the mysterious, bearded man with the glowing eyes, beautiful lips and healthy teeth who was being guarded in a remote section of the hotel. Oh, I scoured the internet for reviews that would tell me what OTHER readers thought this was supposed to be. Although I’ve not yet read the other nominees, I’ve got a sneaking suspicion that 1222 is not likely to be my top-ranked. Frankly, I’m a little surprised that it is nominated. 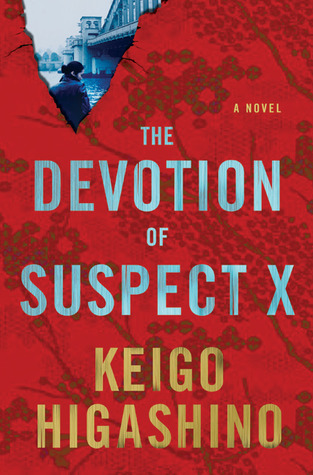 Next up: The Devotion of Suspect X. Another translation, this time from the Japanese author Keigo Higoshano.